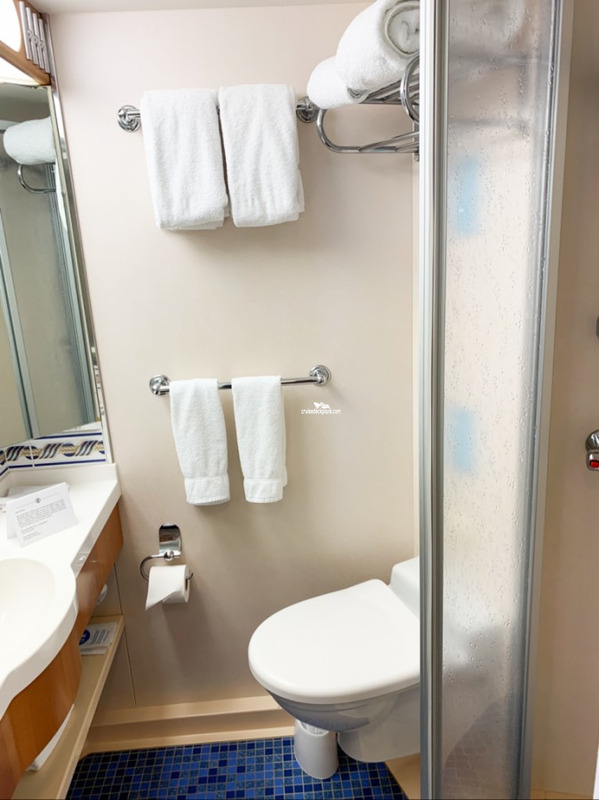 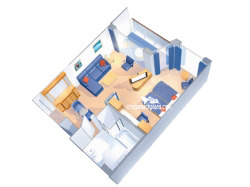 Bathrooms in standard staterooms are approximately 3' x 5'8". 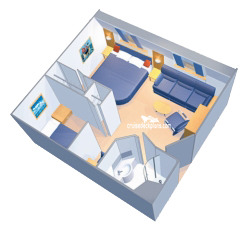 Shampoo, conditioner and soap are supplied in suites. 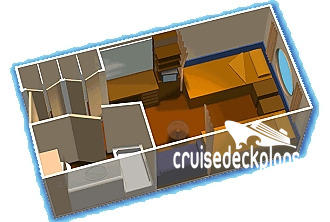 Shampoo and soap are supplied in standard staterooms. Showers are European telephone style, adjustable from 1.4 m to 1.9 m, or 6'2", max. 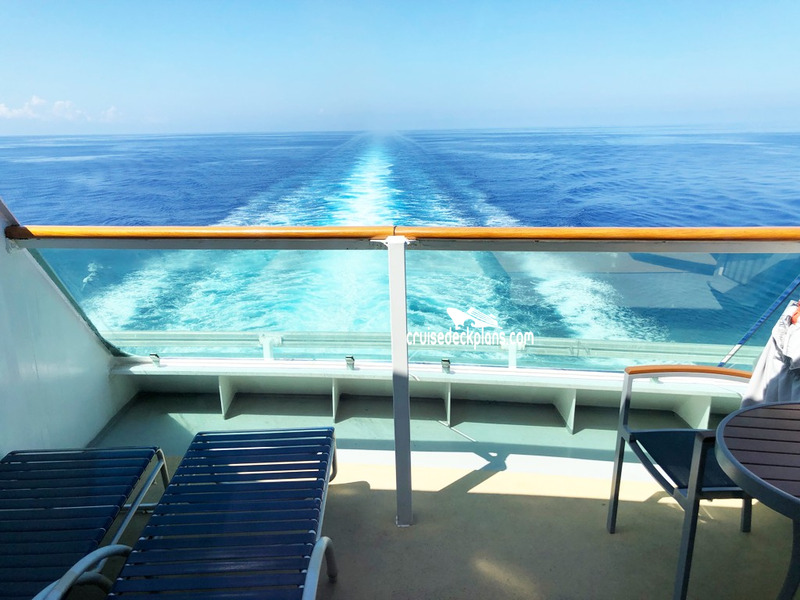 clearance height. 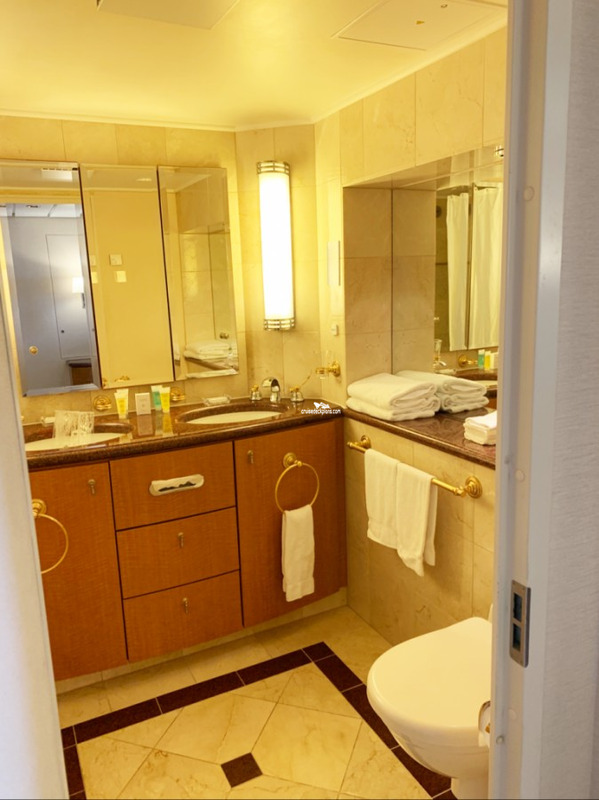 Someone taller than 6'2" will fit in the shower, but will likely have to duck to get his or her head under the running water. 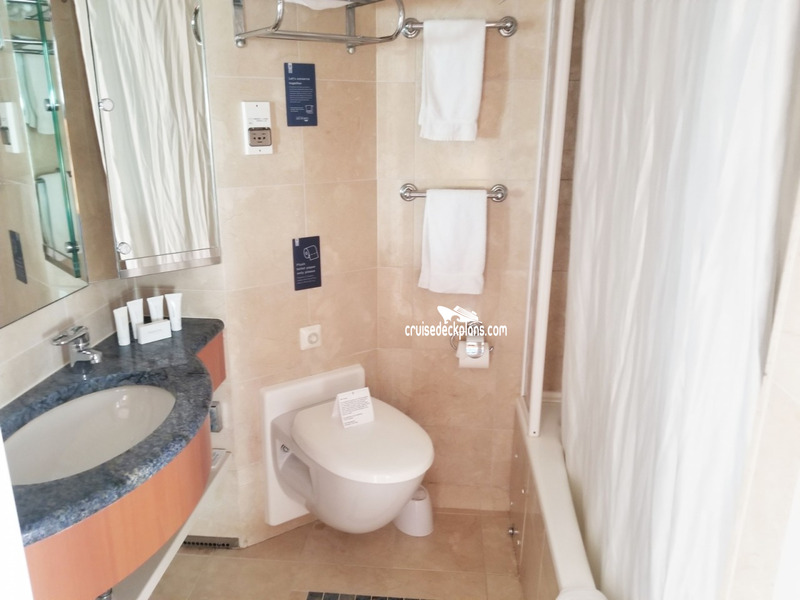 Shower stools and nonslip mats are provided upon request. 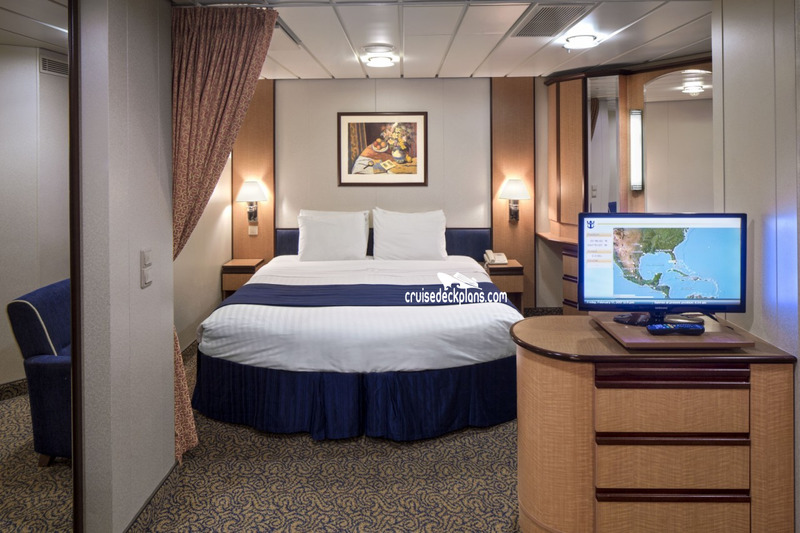 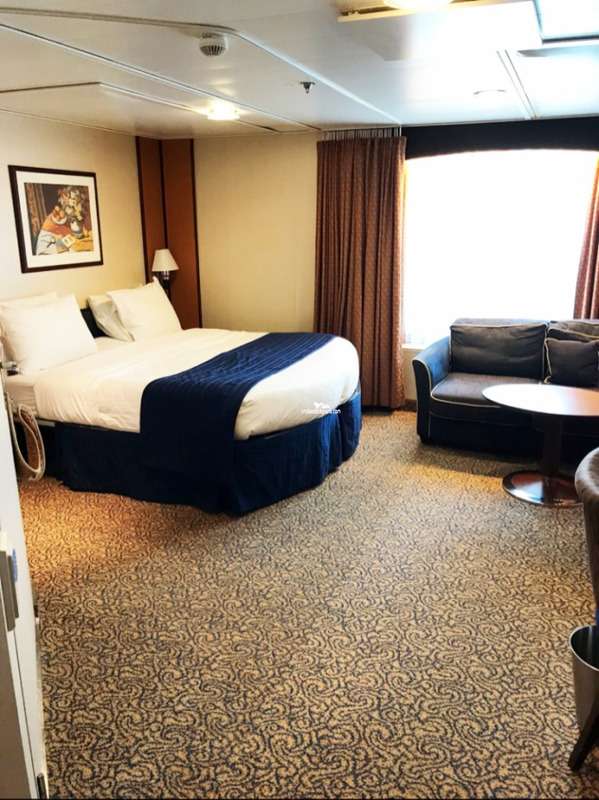 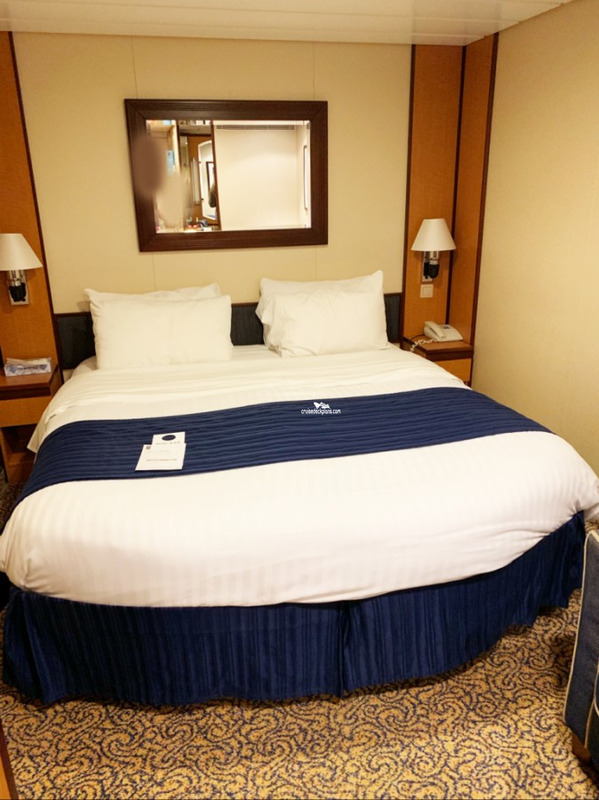 All beds onboard are 6 feet 8 inches in length and the width is equivalent to a twin size bed. When two beds are placed together it will convert to one queen size bed. 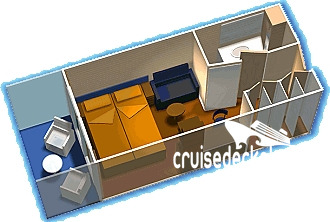 We have bed boards upon request. 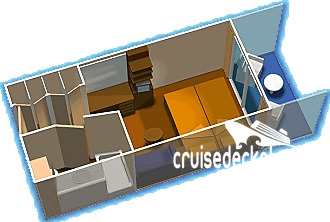 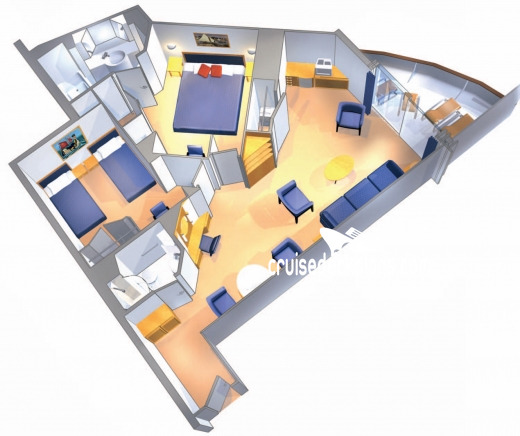 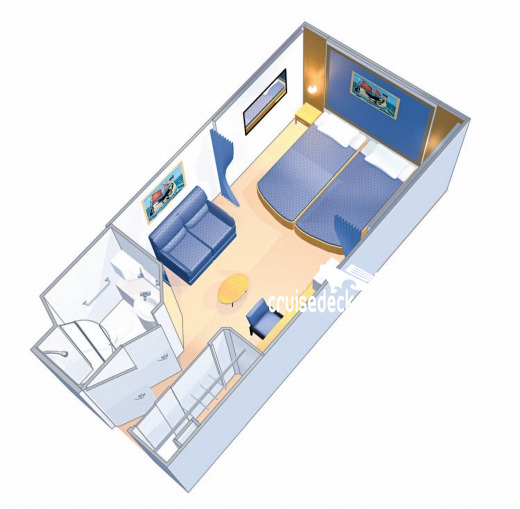 The upper berth/bed has a maximum weight limit of 300 pounds and no height restriction. 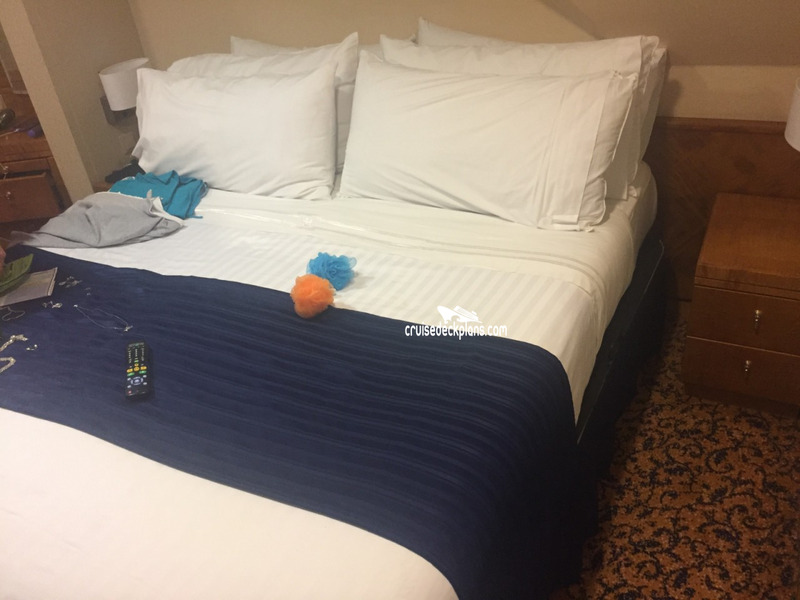 It is not recommended for children under the age of 6 nor for guests with mobility concerns/issues. 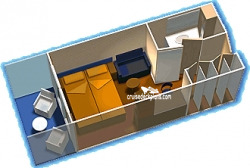 There are bed rails for the upper berth. 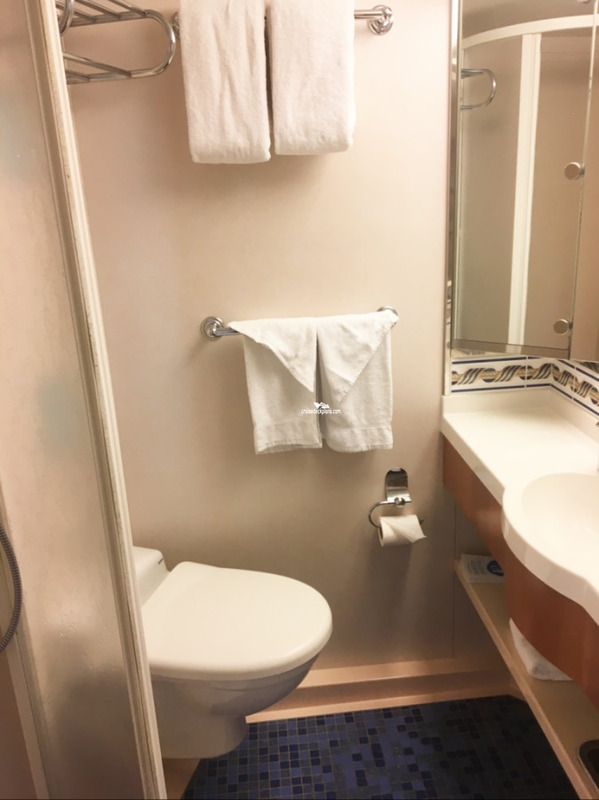 Amenities are subject to change without notice. 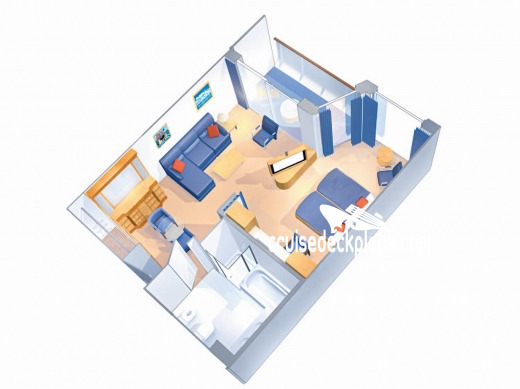 Some balcony sizes are up to 175 square feet. 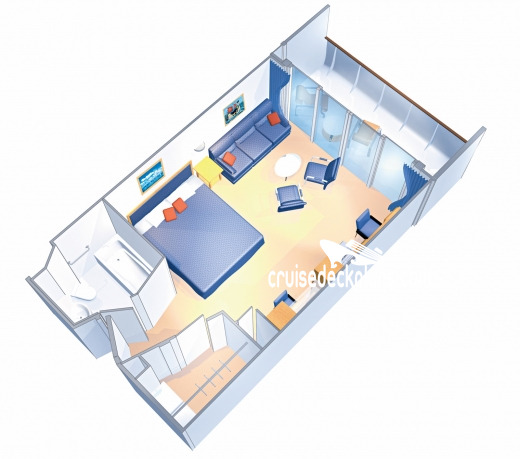 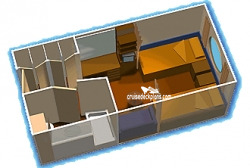 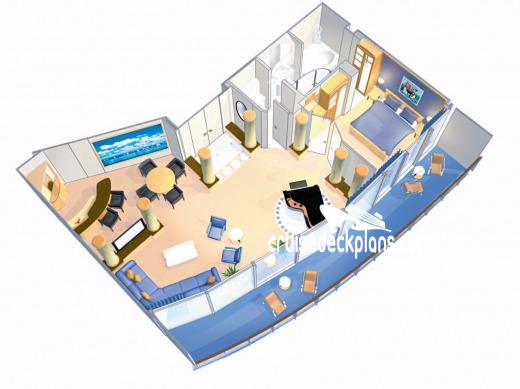 Cabin size ranges from 533 to 586 square feet plus 139 to 196 square foot balcony. 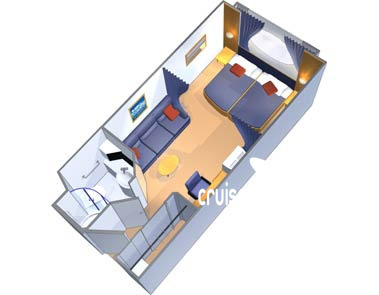 Minimum of 5 people normally required to book (This is sometimes waived depending on the sailing). 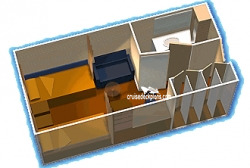 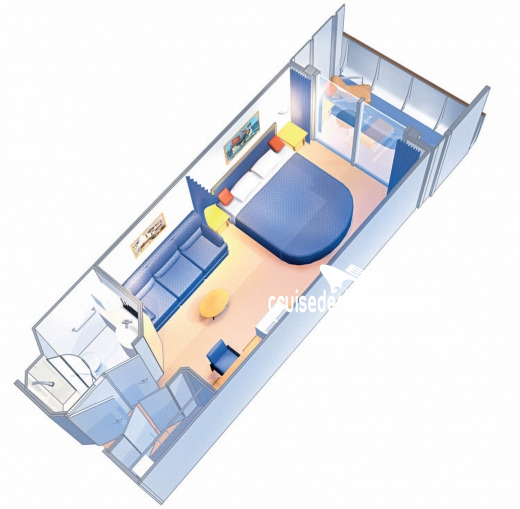 Cabin size ranges from 358 to 384 square feet plus 106 square foot balcony. 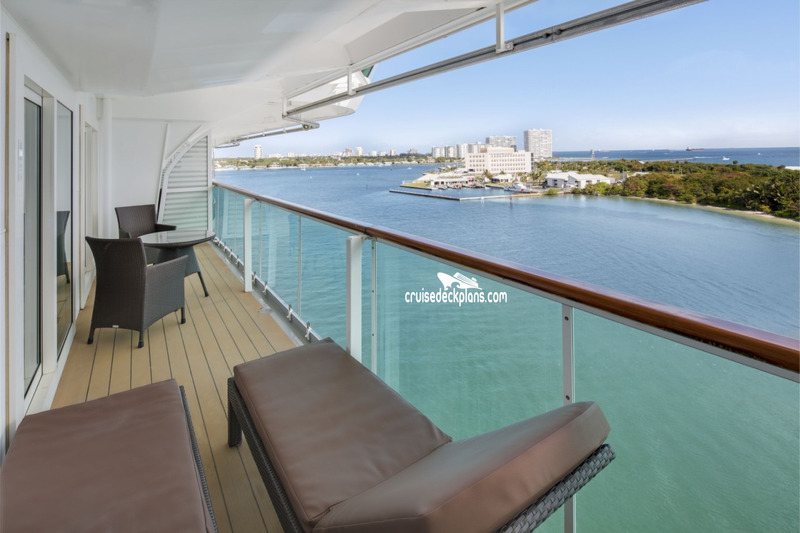 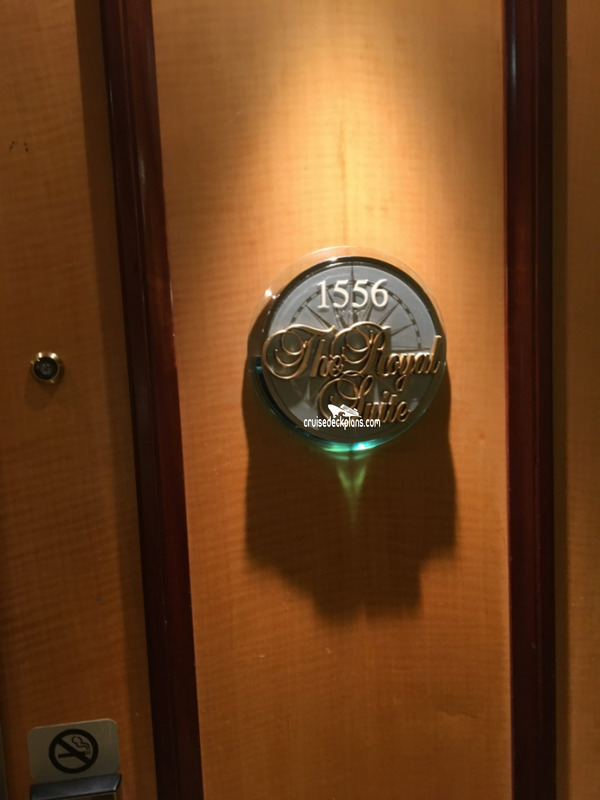 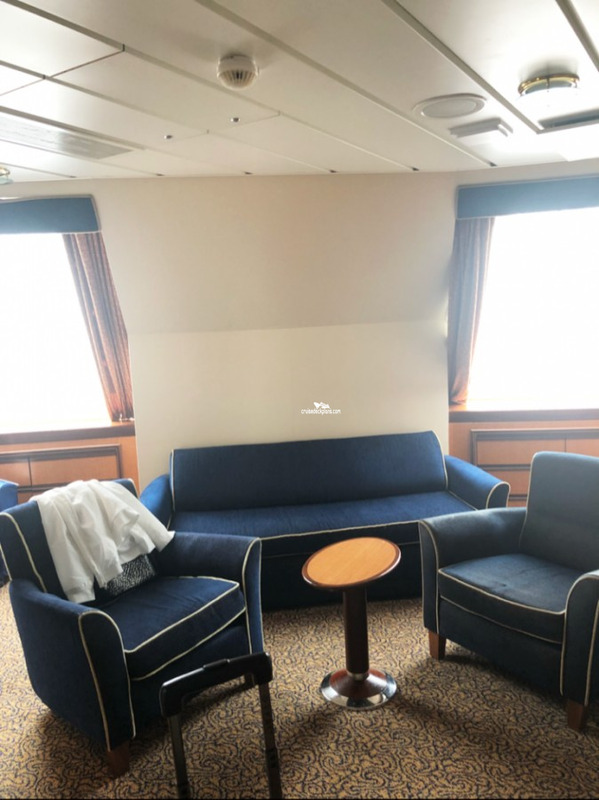 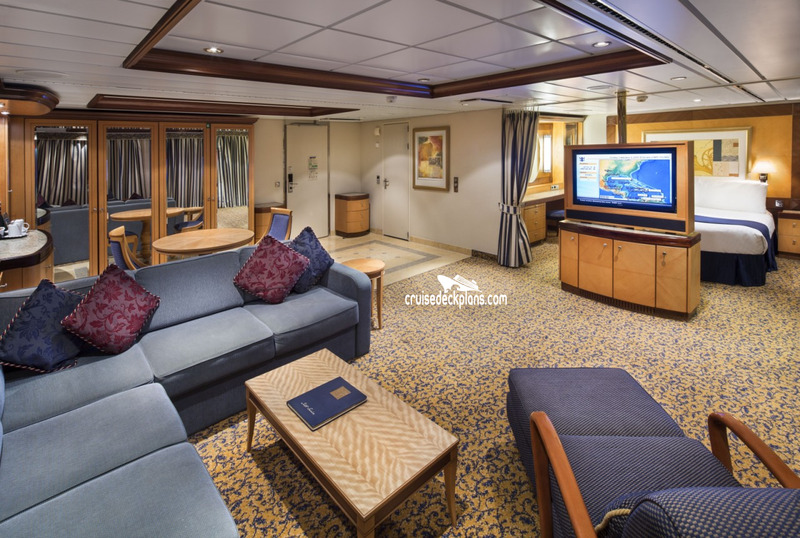 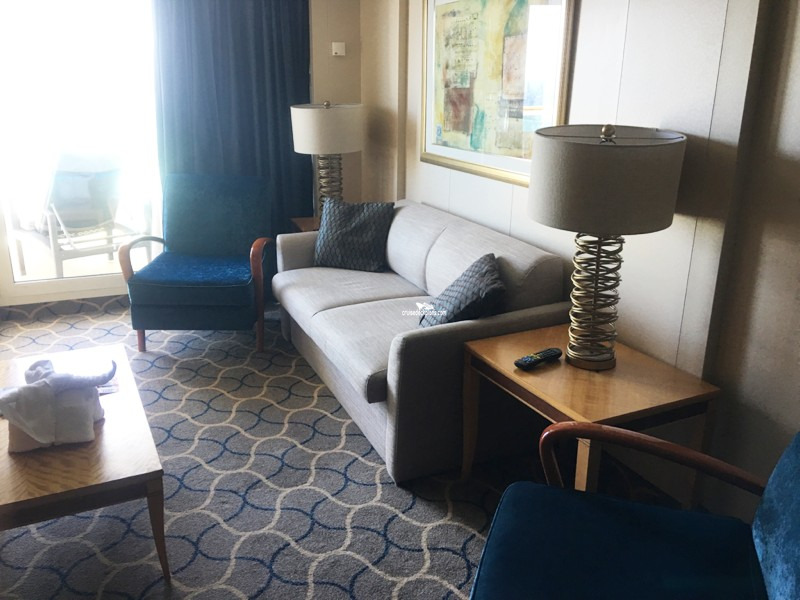 Staterooms 1098 & 1598 have obstructed views. 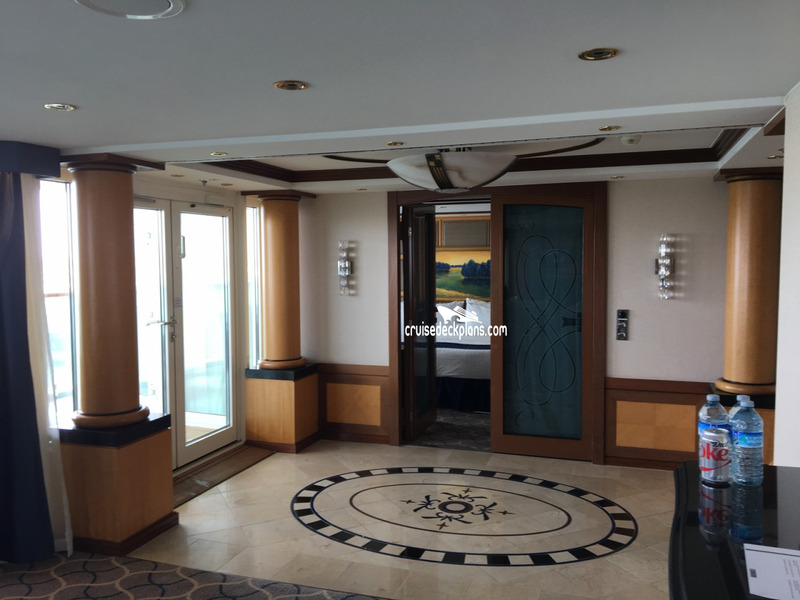 Stateroom 9252 & 9652 have obstructed views from window washing platform. 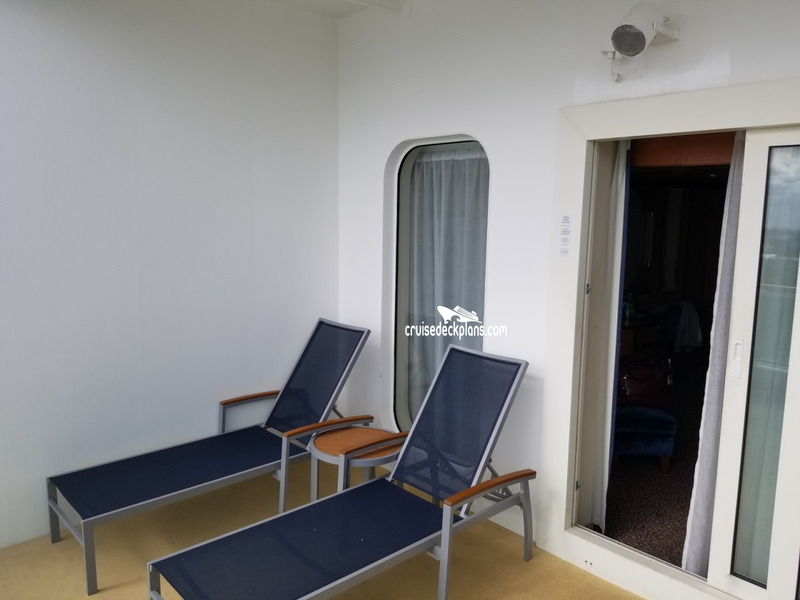 Some balcony sizes are up to 172 square feet. 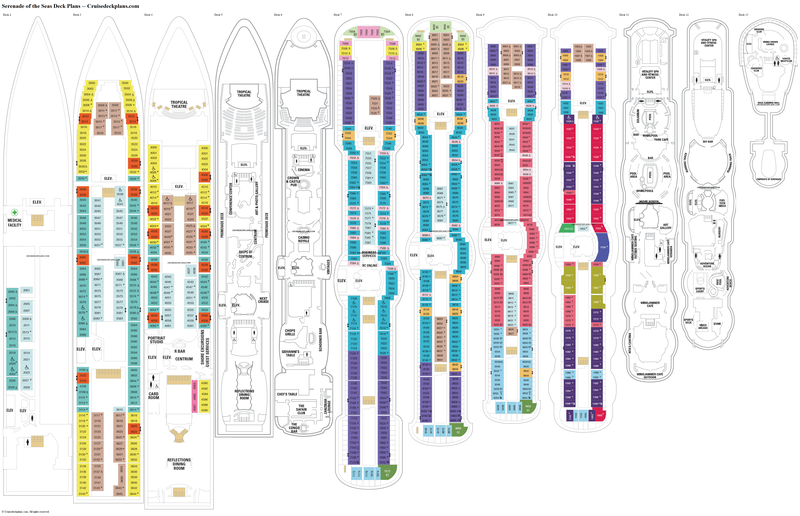 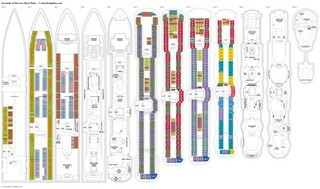 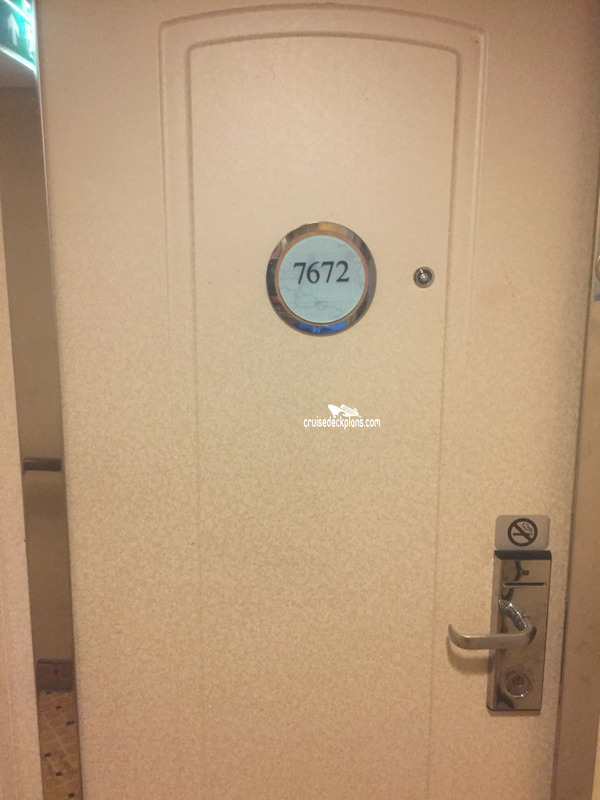 Staterooms 7064, 7066, 7142, 7564, 7506, 8058, 8060, 8558, 8560, 8162, 8164, 8662 & 8664 have partially obstructed views. 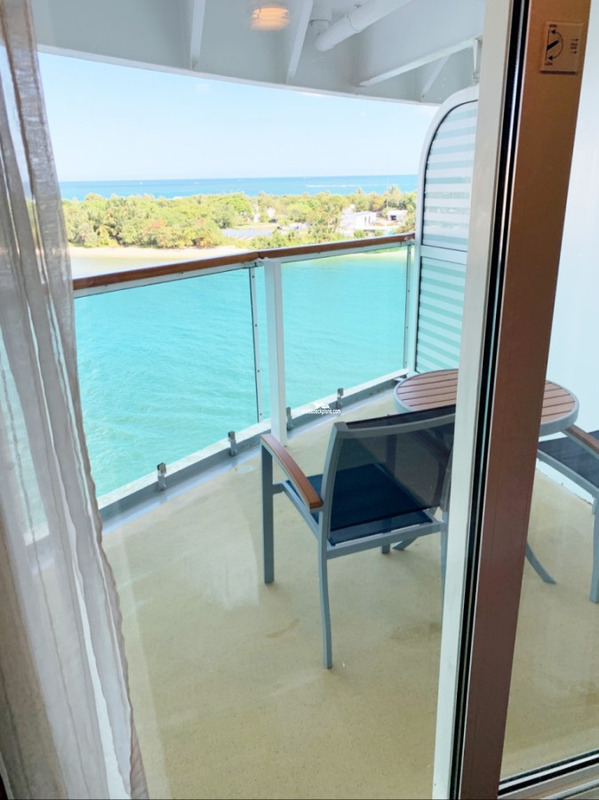 Some balcony sizes are as small as 27 square feet. 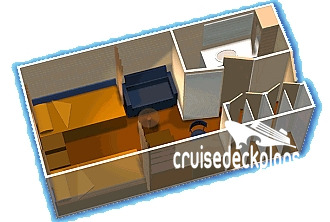 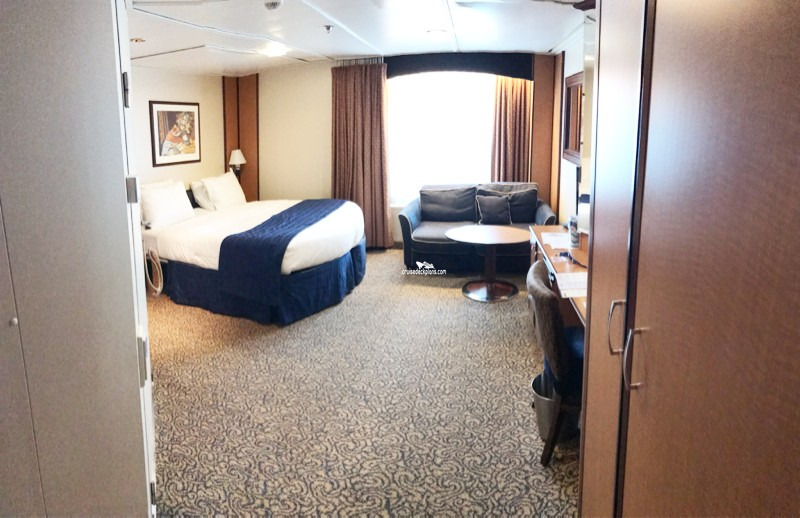 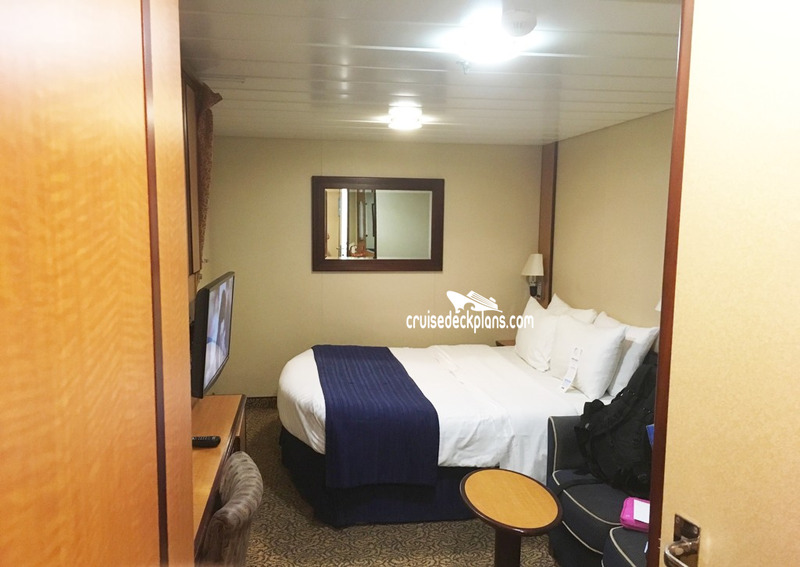 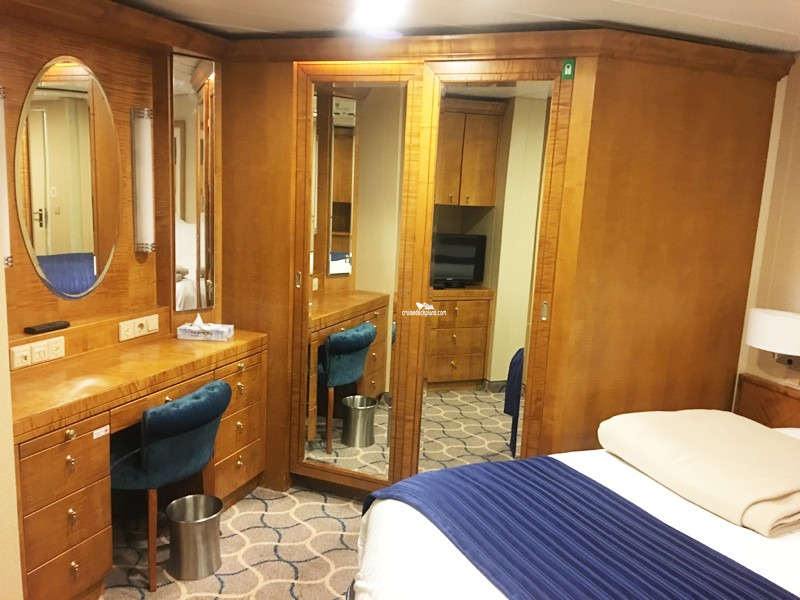 Deck 2 staterooms have a porthole. 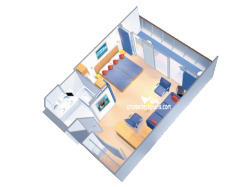 Category 2W (was SI) is Studio Interior. These cabins have one twin bed, vanity area, and private bath. 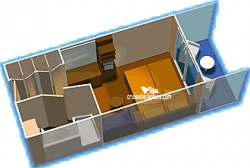 They are 108 square feet and accommodate 1 guest. 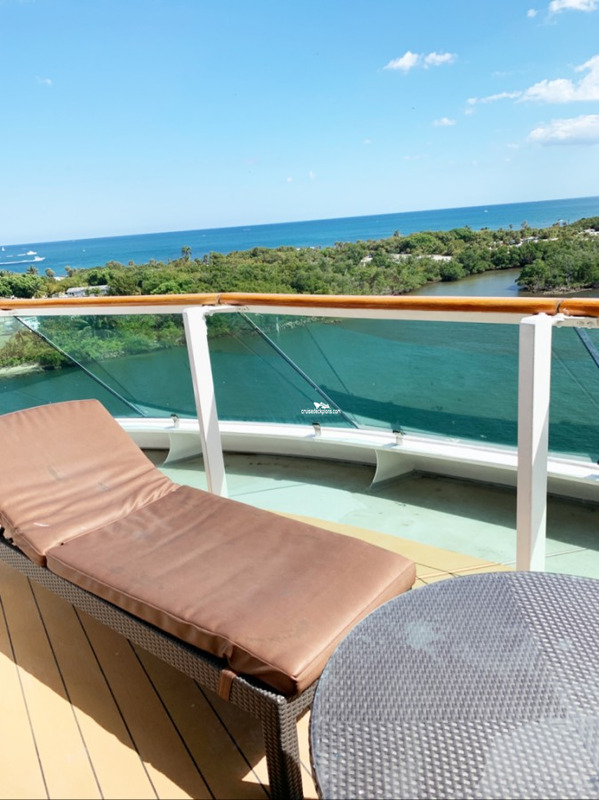 START BY choosing a deck below to view.